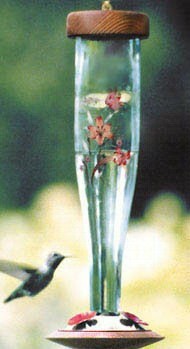 Floral Lantern Hummingbird Feeder. Floral applique on clear glass is liln fired. Floral applique on clear glass is kiln fired and includes gold leaf in the design.